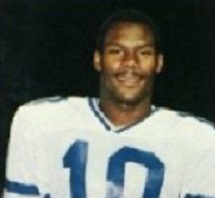 Boyd was a versatile athlete in college (track & field and boxing as well as football) and was the NCAA champion in the 100-yard dash as a senior. 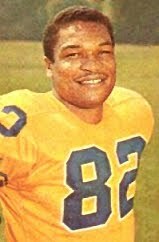 Undrafted by the NFL, he signed with the Rams in 1950 and was a backup among a talented group of receivers during his first two seasons, catching a total of 18 passes for 348 yards (19.3 avg.) and five touchdowns. 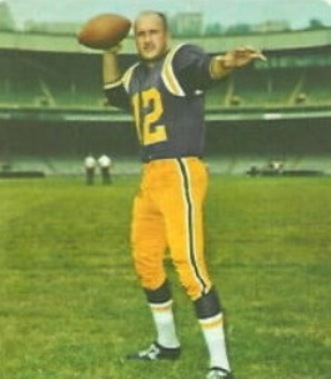 After missing the ’52 season due to military service, Boyd broke out in 1953 with 24 pass receptions for 548 yards and a league-leading 22.8 yards per catch. Rams went 6-5-1 to finish fourth in the NFL Western Conference while leading the league in total yards (5187). Boyd’s production dropped in 1955 as he missed five games with a knee injury, ending up with just 22 catches for 383 yards (17.4 avg.) and three touchdowns. 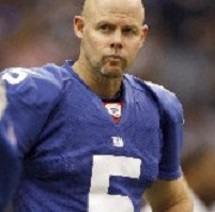 He played two more seasons, grabbing 30 passes for 586 yards (19.5 avg.) and 7 TDs in ’56 and 29 for 534 yards (18.4 avg.) in 1957. Overall, Boyd caught 176 passes for 3611 yards (20.5 avg.) and 28 touchdowns over the course of seven seasons and 79 games, all with the Rams. Noteworthy for the speed he brought to LA’s passing attack, the 1954 season was the only one in which Boyd received All-NFL and Pro Bowl honors. 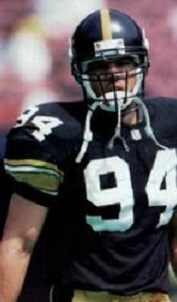 The Orlando Renegades of the United States Football League were hoping to build off of their first win of the season the previous week as they played the Arizona Outlaws on April 14, 1985. The Renegades, coached by Lee Corso, were the relocated Washington Federals, a club that had gone a combined 7-29 in two USFL seasons, and losing the first six games of their third campaign promised only more disappointment. 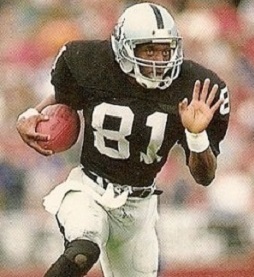 QB Reggie Collier (pictured above) was highly mobile as well as an able passer and WR Joey Walters was a quality receiver. But the Renegades were held back by having the league’s poorest defense. Arizona was a combination of the previous year’s Arizona Wranglers and Oklahoma Outlaws, coached by Frank Kush, formerly of Arizona State. Veteran QB Doug Williams was a capable passer and also had a good target in WR Alphonso Williams. The roster contained several holdover veterans from the Wranglers team that had reached the 1984 USFL title game and the club was off to a respectable 4-3 start. There were 32,169 fans in attendance on a hundred-degree day at Sun Devil Stadium. It was not a promising beginning for the Renegades when FB William Miller was lost to a knee injury on the opening kickoff. But the visitors scored first during the opening period after DT Ed McAleney recovered a fumble by the Outlaws at the Arizona 46. 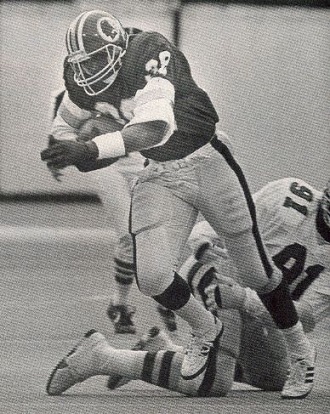 Shortly thereafter, Reggie Collier rolled to his right and threw long to WR Jackie Flowers for a 38-yard touchdown. 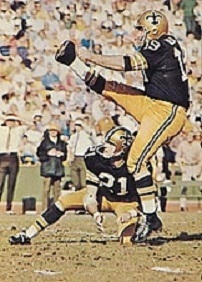 Jeff Brockhaus added the extra point. Before the first quarter was over, Orlando got another break when FB Rickey Claitt grabbed a deflected Collier pass and gained 31 yards. On the next play, RB Curtis Bledsoe, running to his left, went 19 yards for a TD and Brockhaus again converted. Down by 14-0, the home team narrowed the score in the second quarter. A short Arizona punt hit WR Jeff Smith of the Renegades and was recovered by the Outlaws at the Orlando 13, and two plays later Doug Williams threw to TE Ron Wheeler, who made a diving catch for an 11-yard touchdown with five minutes remaining in the first half. Luis Zendejas kicked the point after. On Arizona’s next possession, Doug Williams connected with Alphonso Williams for a gain of 45 yards to the Orlando four. But the Renegades held on defense and the Outlaws settled for a 20-yard Zendejas field goal with the clock down to 34 seconds. The score was 14-10 at halftime. In the third quarter, Arizona made it a one-point contest with a Zendejas field goal from 42 yards. However, the Renegades put together a long drive that covered 81 yards in 12 plays, including passes to Walters for gains of 33 and 15 yards and culminating in a three-yard scoring run by Claitt. Brockhaus added the extra point to increase Orlando’s lead to 21-13. 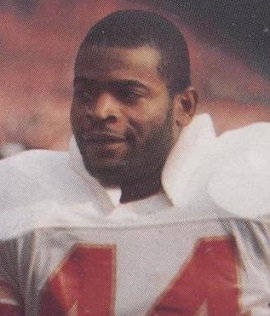 The Outlaws struck back before the period was over as Doug Williams connected with Alphonso Williams for a 54-yard TD. However, an attempt to tie the score with a two-point conversion failed. Still, it was a two-point contest at 21-19 heading into the final period. In the fourth quarter, the Renegades maintained possession for 8:45 in a key drive that included carries by Collier of 8 and 14 yards to convert third downs. With 2:08 left on the clock, Jeff Brockhaus extended Orlando’s lead with a 38-yard field goal. There was still time for the Outlaws, but they now needed a touchdown to win and, starting from their own 27 following the kickoff, Doug Williams, confronted by an inspired defense, threw four incomplete passes and the Renegades held on for a 24-19 victory. The Renegades led in total yards (303 to 231), first downs (16 to 12), and time of possession (37:11 to 22:49). The Outlaws had three sacks, to one by Orlando, and the Renegades were penalized 9 times for 60 yards, to six flags for 50 yards thrown on Arizona. Orlando also turned the ball over twice, to one suffered by the Outlaws. Reggie Collier completed 12 of 23 passes for 180 yards with a touchdown and an interception and also ran the ball for 48 yards on 9 carries. Rickey Claitt rushed for 51 yards on 13 attempts and Curtis Bledsoe contributed 43 yards on 15 carries, each accounting for a TD. Joey Walters led the Renegades with four catches for 63 yards. On defense, LB Ron Freeman was the standout as he accumulated 11 tackles, defended two passes, and had a sack. For the Outlaws, Doug Williams was successful on just 8 of 24 throws for 166 yards with two TDs and no interceptions. Alphonso Williams had a big performance with four pass receptions for 127 yards and one TD. RB Reggie Brown gained 70 yards on 15 rushing attempts. Having won two straight games, the Renegades returned to their losing ways for the next three and, while more competitive down the stretch, finished at the bottom of the Eastern Conference with a 5-13 record. Arizona continued to lose, eventually dropping six straight contests on the way to ending with an 8-10 tally that placed fourth in the Western Conference. 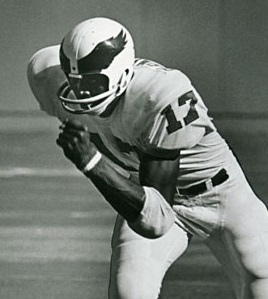 Reggie Collier continued to impress with his running and passing, throwing for 2578 yards and 13 touchdowns while giving up 16 interceptions and rushing for 606 yards and 12 TDs.